Our team attended the annual Independent Insurance Agents of Northern NJ Holiday Party also known as the "Big I." It was a great night full of holiday cheer and delicious food provided by Season's. There was an immense amount of toy donations that were collected by “Toys for Tots” and the Salvation Army. They also had a food drive and had a rep from the Center of Food Action collect donations. It was so heartwarming to see our colleagues come together and give back during this holiday season. Thank you to Independent Insurance Agents of Northern NJ for throwing a great party! 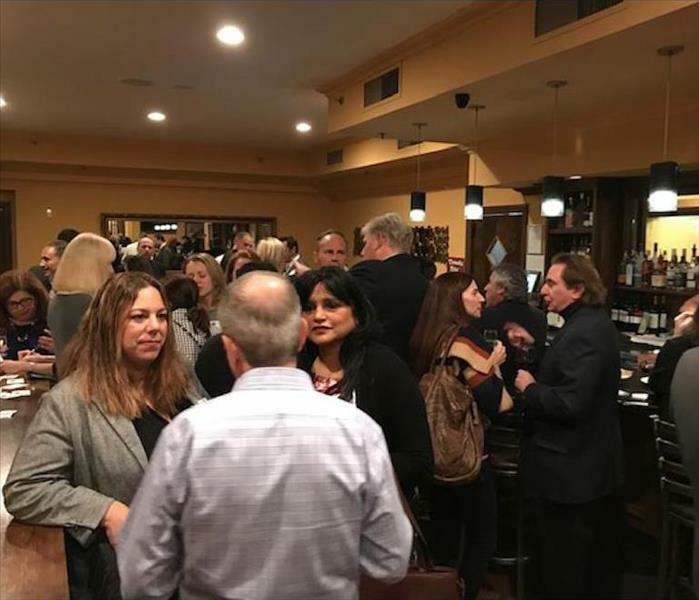 SERVPRO of Teaneck/Englewood participated in a Multi Chamber Alliance event which included the local Chamber of Commerce. The event was held at Giovanni’ Bicycle Club and was a great way to create new relationships. It was an enjoyable night for everyone as well! 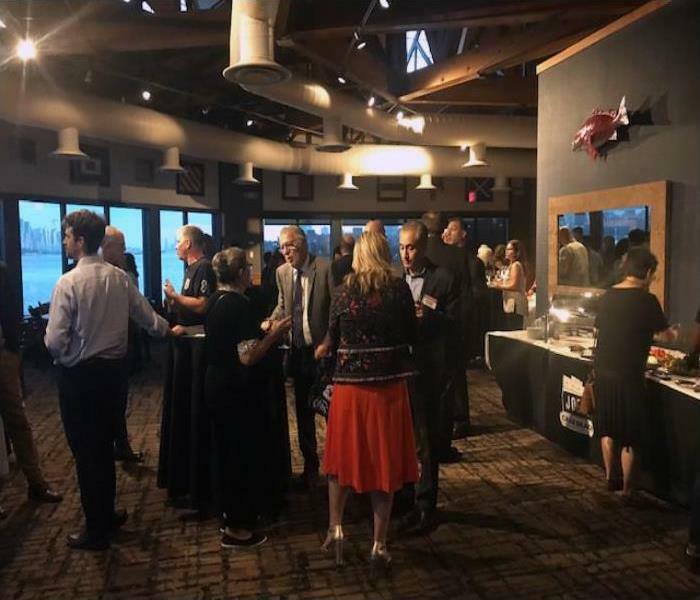 Our team at SERVPRO had a fantastic time at the Englewood Chamber of Commerce Mixer Networking Event which was held at Joe's Crab Shack. We enjoyed networking and are looking forward to the next event. SERVPRO of Teaneck / Englewood technicians had the opportunity to meet and network with plumbers and HVAC technicians at the Counter Breakfast for Plumbers. This event was hosted at Henry's Plumbing Supply. The delicious breakfast in the photo was enjoyed by all who took the time out to attend this great event! What a great turn out for our Sixth Annual Tenafly Community Night Event! Many people had tasty food and were quite entertained. Some of our local Emergency Service departments partook in demonstrations on how to act in emergency situations. A BIG shout out to the Tenafly Police Department and Recreation Department for coordinating and helping with this event! Our team enjoys seeing the community come out and join us for fun events like this one. 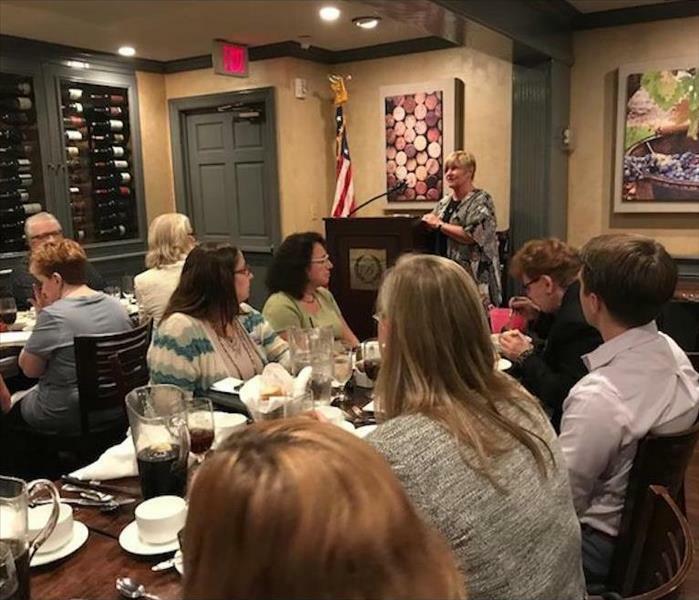 SERVPRO of Teaneck / Englewood recently had the priviledge of sponsoring a meeting of the International Association of Insurance Professionals in Englewood, NJ. Denise Beardsley of the National Elevator Insurance Program is introducing the guest speaker, Mr. David Bauer from Risk Placement Services, Inc of Schenectady, New York. Mr. Bauer discussed ways to minimize risk in labor law issues. This was a very informative event and we hope to sponsor more meetings in the future! 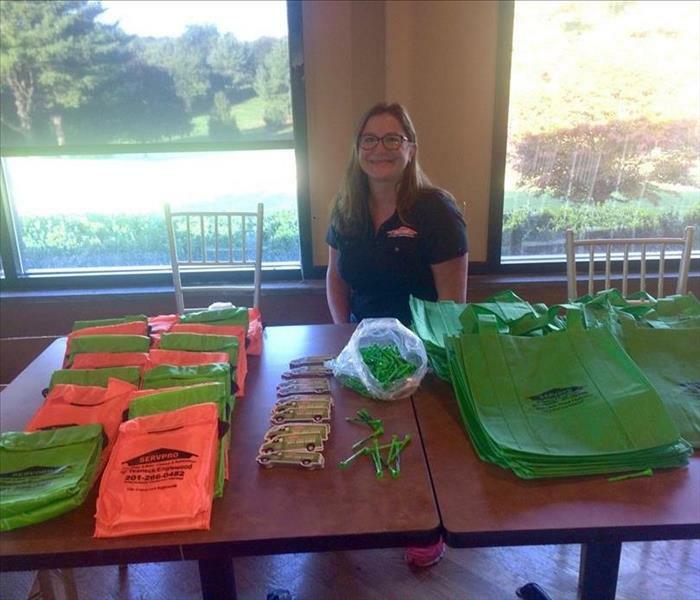 SERVPRO of Teaneck / Englewood recently participated in a Golf Outing to benefit Clifton Schools. We met for golf and a luncheon at Farmstead Golf Club. In attendance were Albert Marchione, Clifton Schools, Robert Cigsi, Head of Building and Grounds for Clifton Schools and Jess Backofen, Executive Director of JDRF. Everyone enjoyed a round of golf followed by a wonderful lunch. We hope to participate in this event next year as well! The annual Teaneck Police National Night Out Event was recently held at Votee Park. Our community local responders reach out to residents to strengthen the ties of friendship and cooperation. 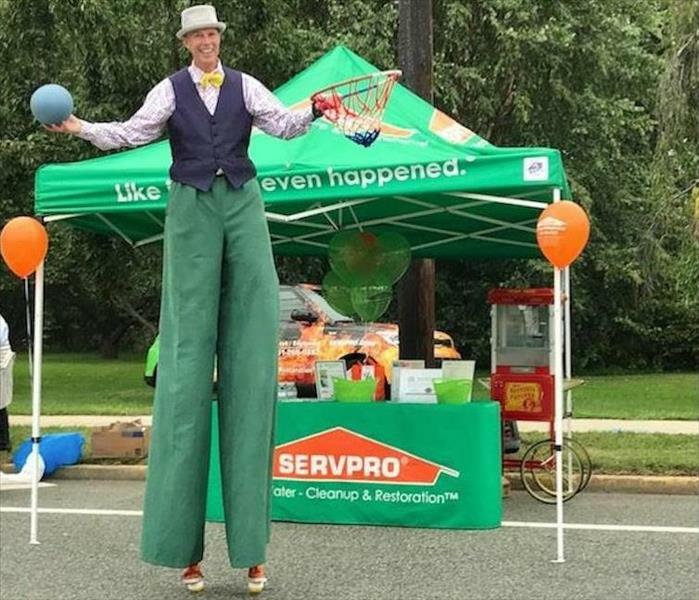 SERVPRO of Teaneck / Englewood is proud to participate in this day of train rides, inflatables, music and good food for all the attendees--young and old. On a serious note, demonstrations were held by our police officers and firefighters including the "Jaws of Life." 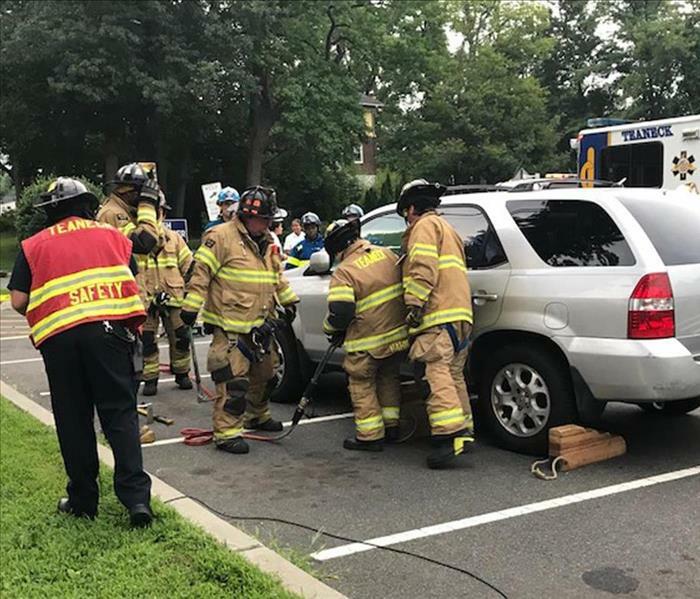 The action depicts a wrecked vehicle, chocked to prevent rolling, getting the full attention of our first responders to save the life of a trapped driver. The hydraulics and hardware are standard equipment for such emergencies. It was a great time for all, and we look forward to also serving our friends and neighbors in their time of need. See you here next year! 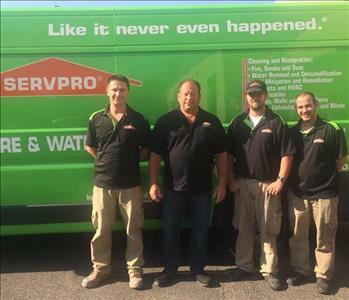 The SERVPRO crew. 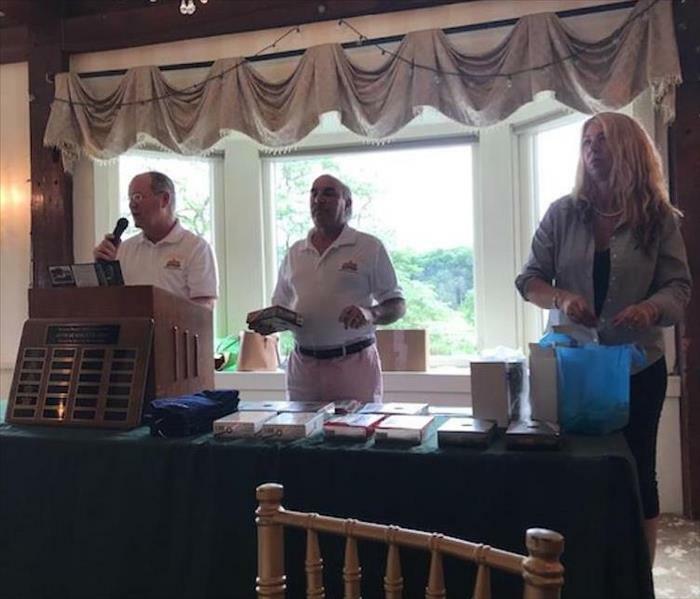 The Tenth Annual Golf Outing was held in support of Fire Company #2. Thank you for over 100 years of service that exceeds the public's expectations for timely and effective delivery of fire prevention, fire control, and safety education. Our entire community appreciates all your efforts. SERVPRO of Teaneck-Englewood is a proud member of the local community and always ready to support our first responders. Sandy Lewis, our Sales and Marketing Representative, is all smiles, as she greets the participating golfers. A fun time was had by all. 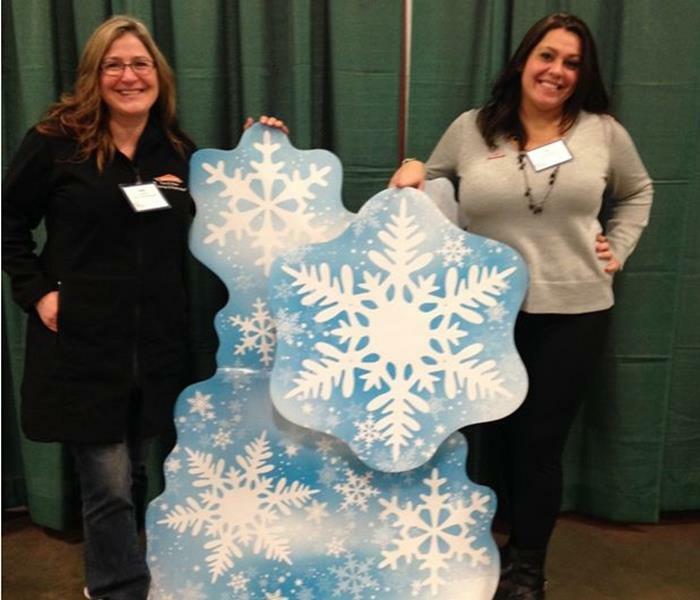 SERVPRO of Teaneck/Englewood was represented by our team member Sandy at the recent Children's Holiday Party for the New Jersey Apartment Association. The event is designed to make a difference in the life of a child, if only for one day. 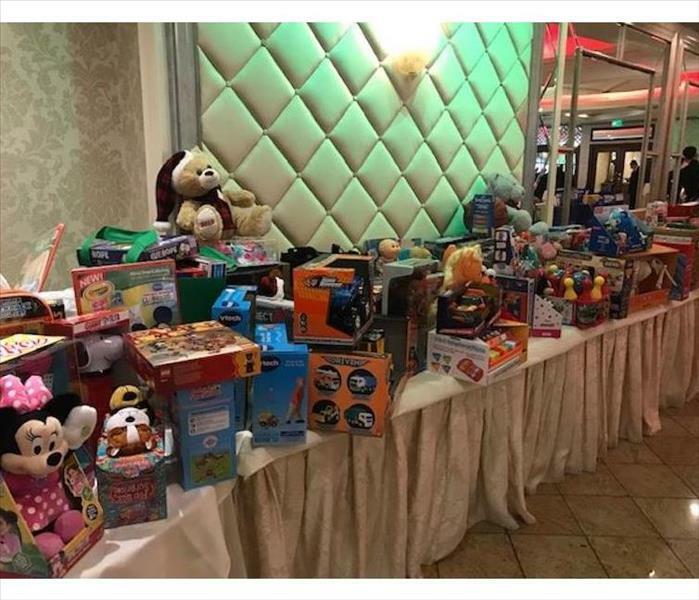 The goal was to bring gifts and a day of fun to over 1,000 children from local under served communities in Northern New Jersey. The kids enjoyed a great day they will remember for a long time. We are proud to help our local communities during the holiday season, and all year long. SERVPRO of Teaneck/Englewood recently attended the 100th Annual New Jersey State League of Municipalities Conference at the Atlantic City Convention Center. Our local team members were able to showcase our services and products to the municipal government. 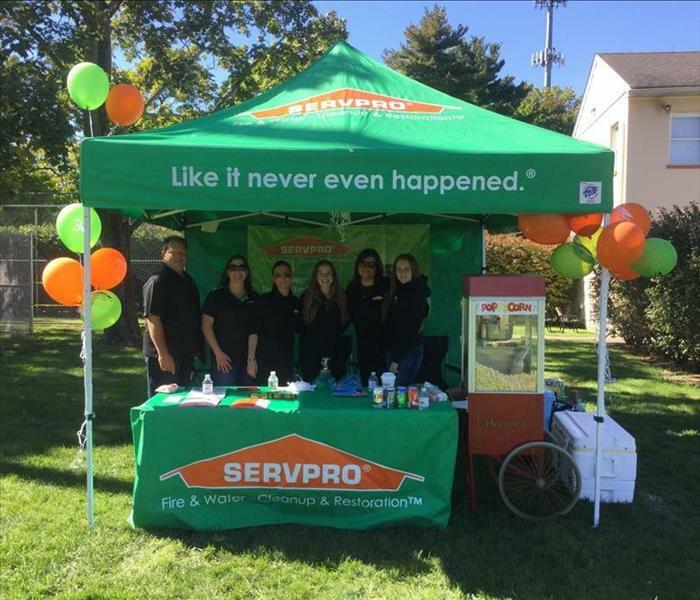 SERVPRO of Teaneck/Englewood had a great time! 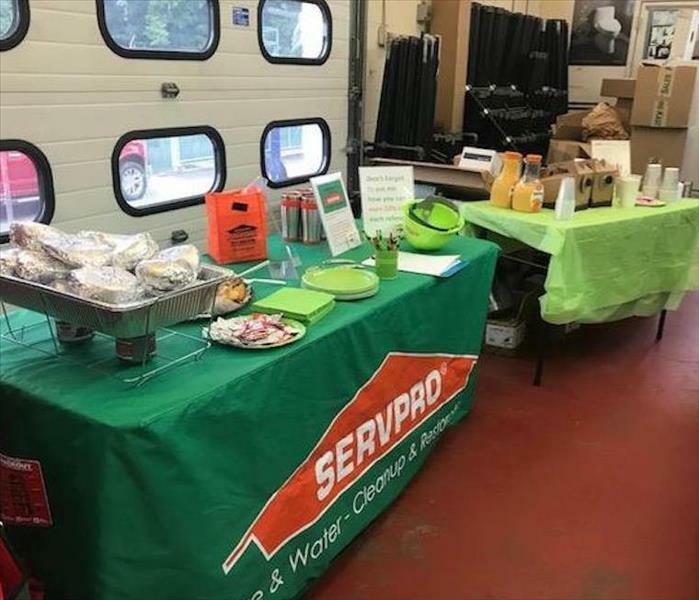 SERVPRO of Teaneck/Englewood participated in the BBQ fundraiser for local police detective, Brian Long, who is fighting a rare form of kidney cancer. The “cook off” was full of celebrity chefs who made their best barbecue for all those who attended. 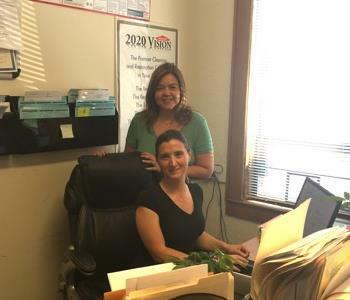 Cindy and Angela were among some of the SERVPRO team members who participated in the event. All of the proceeds went towards the Brian Long Fund which has already raised thousands of dollars. SERVPRO of Teaneck/Englewood wants to thank Brian Long and the rest of the New Milford Police Department for letting us be a part of this special event. Thank you for your service! The New Milford Fire Department Company 2 recently celebrated its 100th anniversary by hosting The Northern Fire Chief’s Parade. It was a great event celebrating 100 years of volunteer service. SERVPRO of Teaneck was proud to support the local fire department. It was a fun filled afternoon of awards, food & refreshments, and musical entertainment. 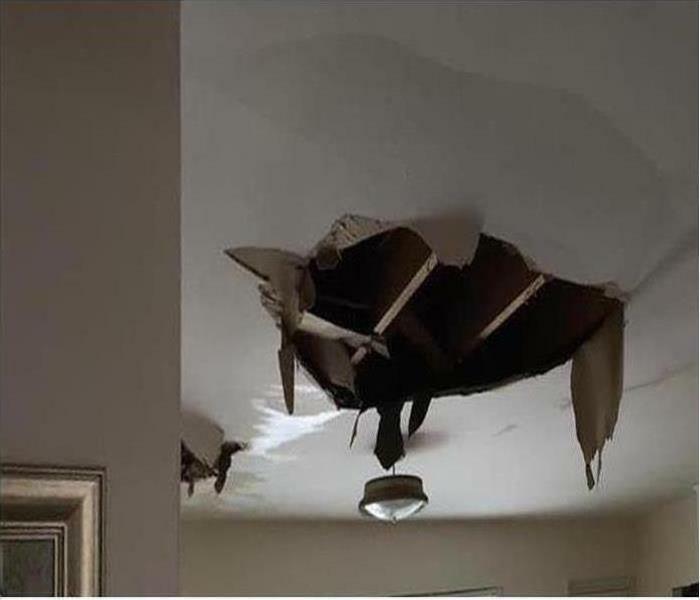 SERVPRO of Teaneck specializes in fire and water damage restoration. 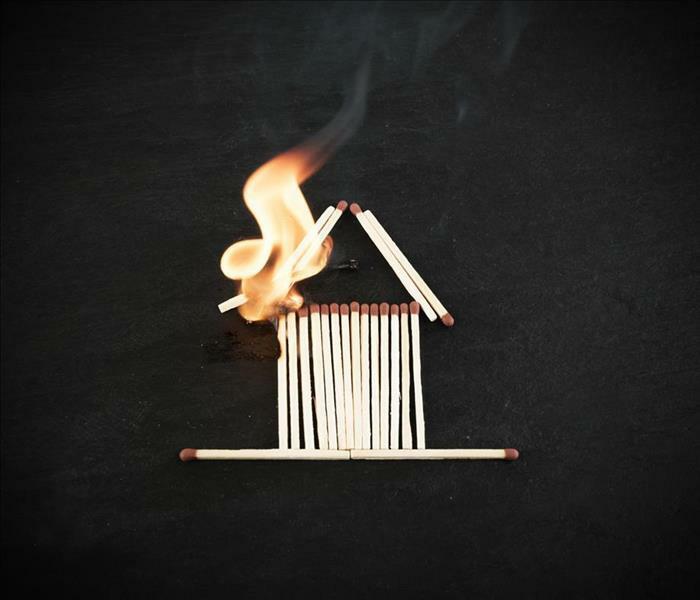 We have the personnel and training to quickly restore your home and business to pre-fire condition. Happy 100th anniversary to the New Milford Fire Department. We appreciate your efforts to keep the residents of Teaneck, Englewood and our entire community safe.